Make life easier with our custom home elevator solutions. Call RCM Elevators today at 888-353-8878 for more information about Residential Elevators, Stairlifts, Wheelchair Lifts, and Dumbwaiters. RCM Elevators of Maryland, proudly installs high-quality, long-lasting Home Elevators from the best manufacturers from across the country. 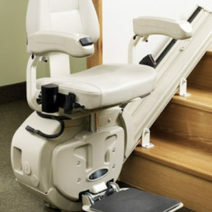 When climbing the stairs becomes difficult, there’s no need to go through the hassle and expense of leaving the home you love for the sake of mobility. Our innovative products offer the most comprehensive selection in the industry, backed by our commitment to quality with our warranty. It’s a matter of convenience. 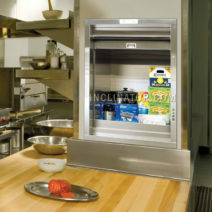 A dumbwaiter for your home or restaurant makes it easier for people to move heavy items from floor to floor. At the top of the Maryland Elevator Service Industry, Raymond C. Maule and Son was established in 1929. We pride ourselves on over 80 years of success in business. Throughout these years, our reputation has been built on an unparalleled attention to detail and commitment to customer satisfaction. Our job is not complete until you are entirely satisfied with your elevator. 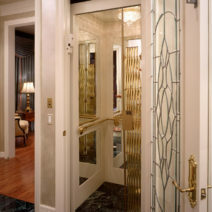 With our custom designs and ability to handcraft each elevator, it’s easy for you to create something truly unique. Whether it’s luxury or convenience you are looking for, our complete line of custom elevators and stair-lifts will serve your needs. We have been a customer of RCM Elevators for several years. We are on their yearly service plan. Once a year they come out to make sure everything is working properly. I would highly recommend them. RCM elevators was recommended by my new construction home builder. I met personally with Angel who walked me through all of their products and options. 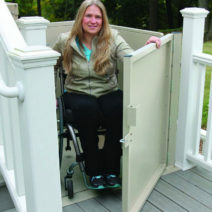 Not ever having a home elevator installed; her assistance was invaluable. Having a long standing relationship with my home builder was a plus plus as well. The coordination between all three parties was a breeze. I also have a maintenance contract with RCM. They contacted me for the yearly routine maintenance check and arrived at my house on time with 2 very professional maintenance employees. Thank you RCM and thank you Angel. Expert service. Quick and reliable. I had small problem with my elevator intermittently not working. I called RCM, spoke with Kathy who set up a service call 2 hours later. The techs, I believe Sean and Zach, ran up and down the stairs until they diagnosed the problem. 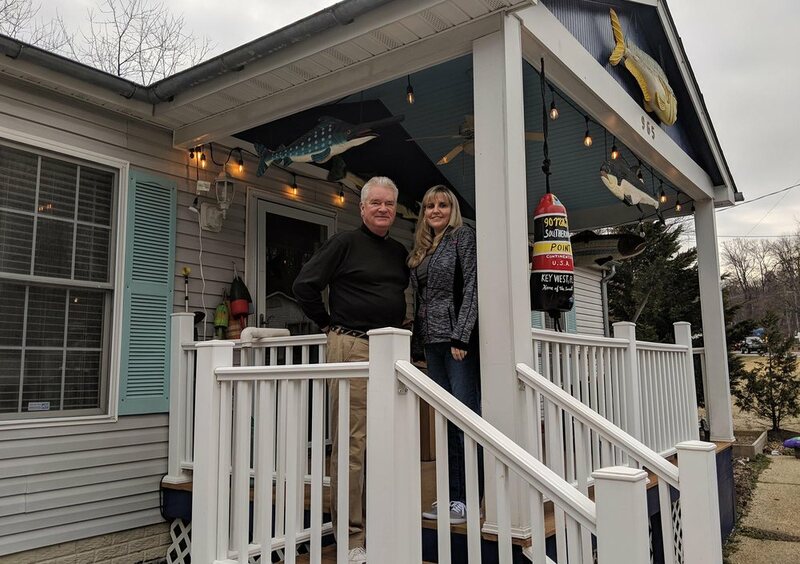 One faulty switch needed replacement and a few days later everything was fixed and it works like a charm.Anyone familiar with Annapolis area construction knows a home built by Guy Pilli is top of the line. He only uses the best. In fact, my home was completed almost 18 years ago and I continue to use the same A/C-Heat, Electricians, Plumbers, irrigation, and other companies were here during construction. That says a lot about quality and longevity. RCM fits right in there with these other companies. I highly recommend them.